Rectangular trampoline with integrated safety net. Maximum user weight 140kg (22st). 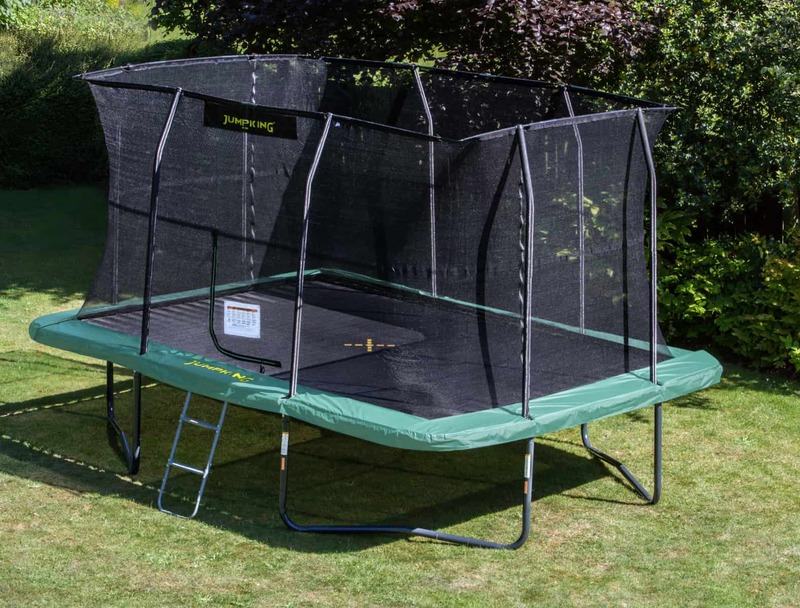 This rectangular trampoline has 3 different ‘jumping zones’, ensuring you are not drawn into the centre. 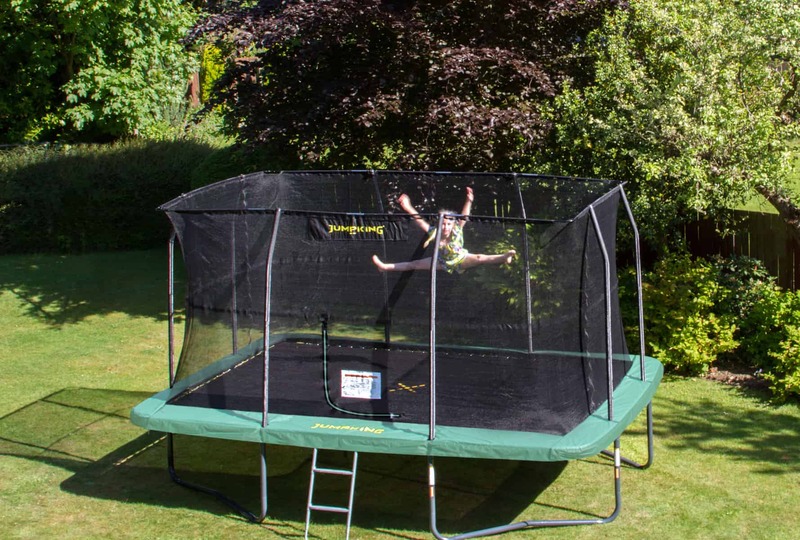 The sturdy frame has the largest top rails of all the Jumpking trampolines at 57mm in diameter, making it a very robust trampoline. This rectangular trampoline with enclosure benefits from the tri­layer sockets (the T connector holding the top rails and legs together). 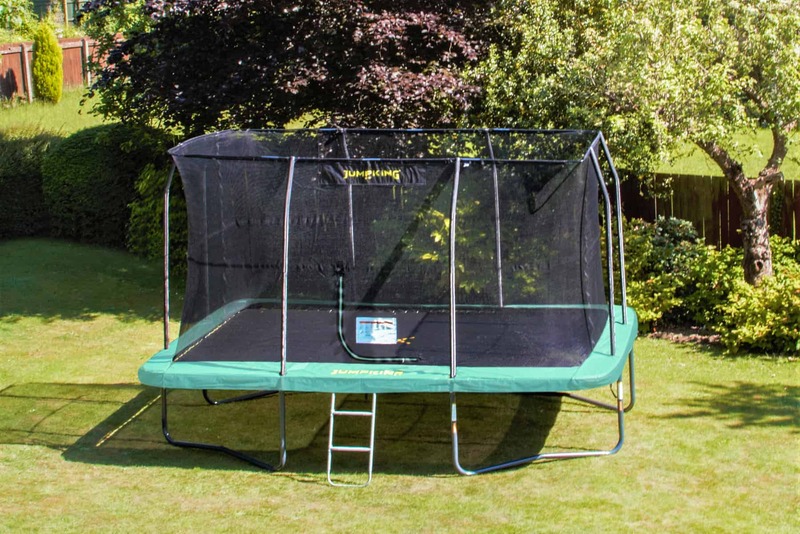 It is quick, easy and safe to assemble (2 persons required), and comes complete with an integrated UV-resistant, sewn-in safety net (ensuring the jumper cannot touch the springs while in use). With excellent build quality, the manufacturer guarantees the steel frame for 10 years, the bed & springs for 5 years and the net & pad for 2 years. The trampoline legs and ladder are now dark grey powder coated to give a sleek stylish finish.